Bridge24 is continually picking up steam, thanks in part to those users that spread the word about our great product! 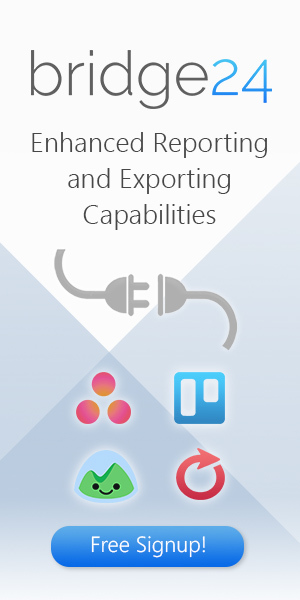 A number of new features have been added to help disseminate information to others including a simple invite and also an Affiliate program. 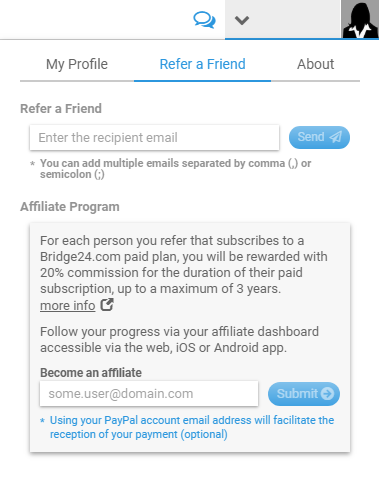 The Affiliate program allows you to collect a 20% commission if users you tell Bridge24 about decide to purchase a Premium subscription through your affiliate link. Telling your friends or colleagues about Bridge24? Or writing a blog post to provide your readers with information about the features and power of Bridge24? Why not provide them your Bridge24 Affiliate link! You can earn a 20% commission on users that use your link to navigate to the Bridge24 site. It is really easy. 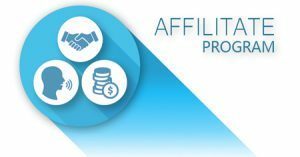 Simply sign up for the Affiliate program from the Refer a Friend panel of the Profile area. If the Affiliate program is just not your thing, use the Refer a Friend area on the same panel at the top. Just enter the email address of the person you want to refer and an email is sent instructing them that you think they would find it useful to try out Bridge24. If you have needs or ideas around topics discussed above, please provide your feedback and we will see what we can do!